We’ve been moving around more frequently on our most recent trips. 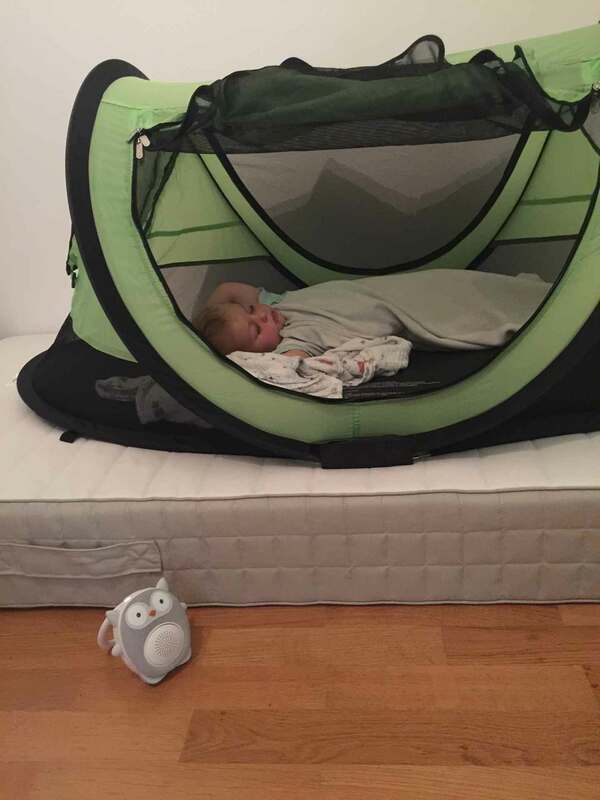 Even though some of our AirBnb apartments have a travel cot available, it’s easier if we pack our own. Not all places we’ve stayed at have one available and with frequent moves we don’t want the hassle of renting one. Don’t get us wrong, we love the idea of renting baby equipment but when you are only in a place for a few days having to wait for a drop off or pick up is time we don’t want to waste. Even more importantly, when we make frequent moves we like that our little guy gets to have a familiar place to sleep. He likes it so much, he even asks to sleep in his “tent” when we get back home. As a bonus, despite its comfortable size, it packs down small enough to fit in a medium-sized suitcase. Check out the latest prices and more details or read our full post on toddler travel beds. As you can see, we like using a Halo sleepsack with the PeaPod Plus as it helps replicate their sleep experience at home and reduces the number of times you need to open the zipper to fix blankets. If you are looking for a similar option that is not a tent, the Lotus Travel Crib has backpack straps, fits as a carry-on and is one of the best reviewed travel cribs on Amazon. 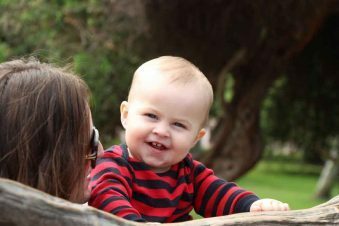 We’ve always used white noise when our kids were babies; with two kids and two dogs at home, we like that it helps block out noise. The same goes for our trips. Staying in apartments sometimes result in sharing rooms (either the two kids share or the baby/toddler goes in our room), or there might be noise from outside or other apartments that our kids aren’t used to. White noise gives them that familiar feeling to sleeping at home. We have often used a white noise app on our iPhone, but the SoundBub has become our new favorite. 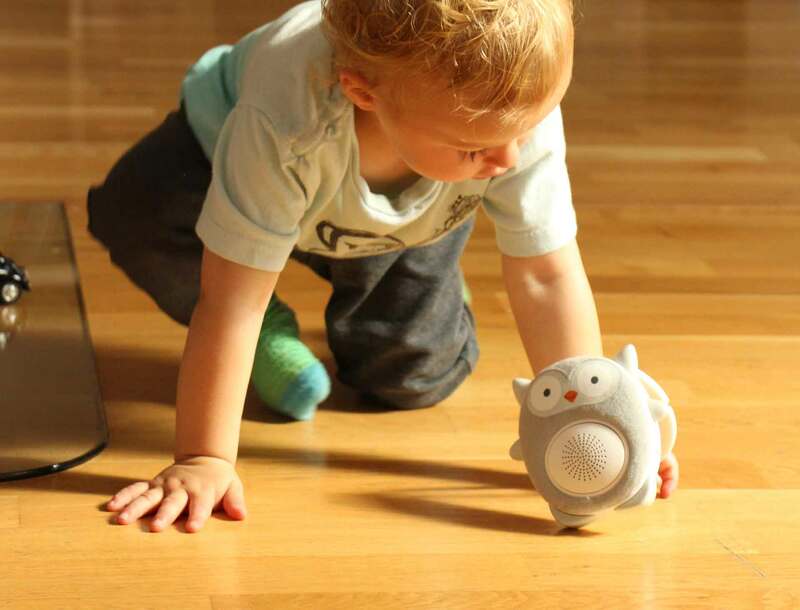 It pulls double duty as a white noise machine and a wireless Bluetooth speaker. We get the added bonus of playing music for family dance parties and it’s even good for a distraction on a road trip or a hike. We’ve had some great flights with our toddler that we fully credit to our Fly Tot. We’ve even gotten up to 6 continuous hours of sleep out of our very active 23 month old on a flight (thanks to an extra seat and setting up our Fly Tot). Having that extra space for your little one on a flight is truly worth it. 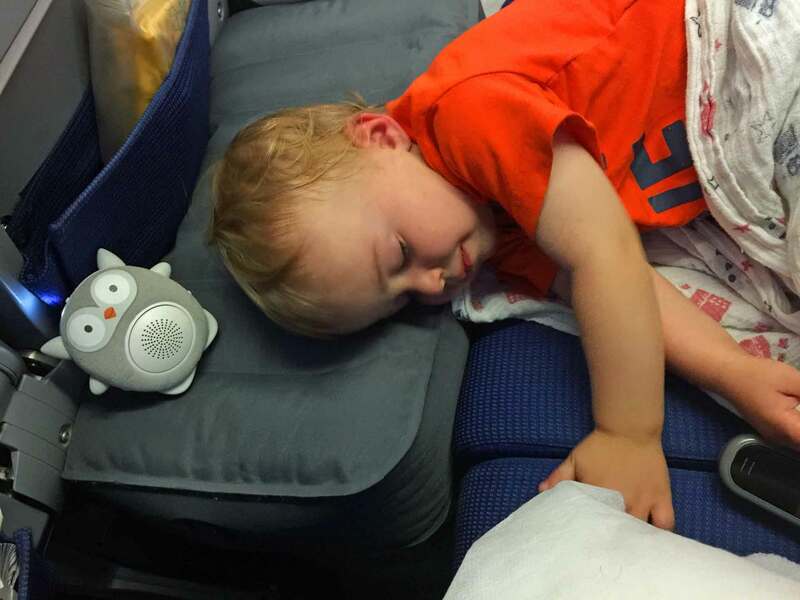 You can read all about our experiences flying with an inflatable bed for toddlers on airplanes. 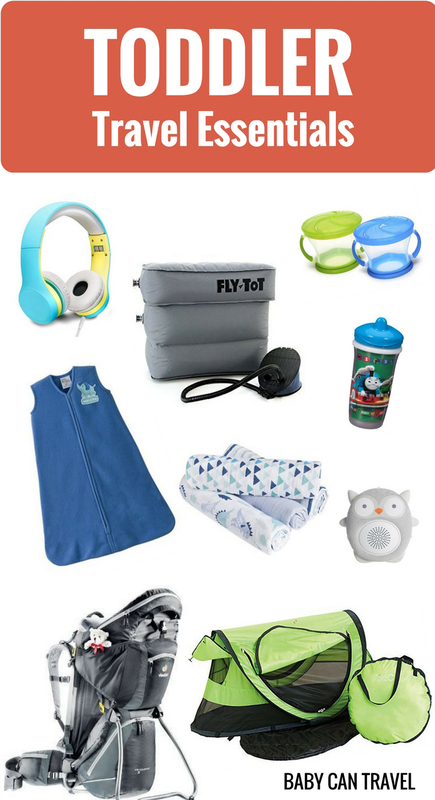 Click here for the latest prices and more information or check out our post on flying with a toddler. We’ve been raving about the Aden & Anais Swaddle blankets since our daughter was a baby and you’ll find them in our baby travel essentials too. It’s their size and how lightweight they are that makes them perfect for travel. I always pack one in our carry on for either of our kids and they always get used. Our little guy also sleeps with one in his crib at home, so we bring it along to keep that familiar sleeping environment. Given how lightweight they are, they work well for warmer climates too. Click here for latest prices and more information or read our full blog post on the many travel uses for these excellent blankets. We love Epic! for travel! With over 25,000 titles, there is virtually no limit to the number of books you can bring along on your travels. 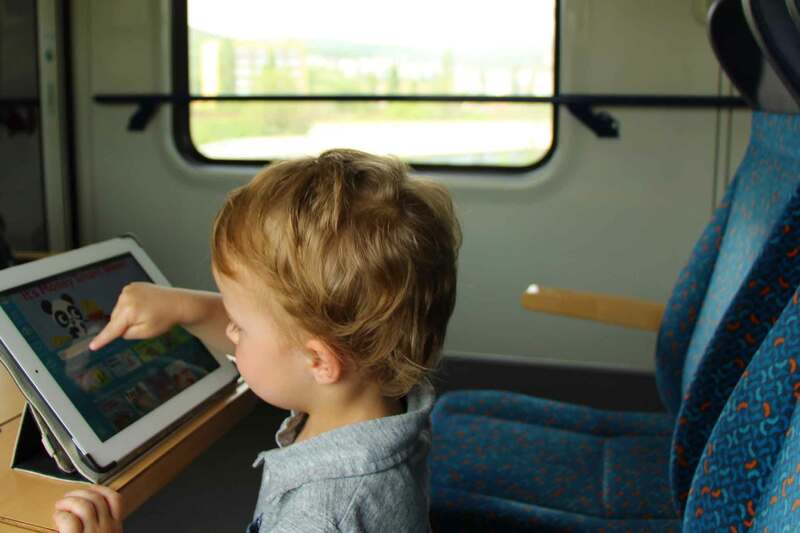 No more lugging heavy children’s books along on your trips! 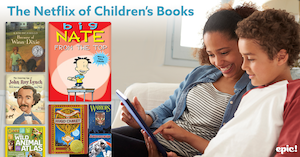 We download tons of Read To Me stories onto the iPad prior to a flight and let our kids listen to stories as a nice alternative to watching mindless cartoons. 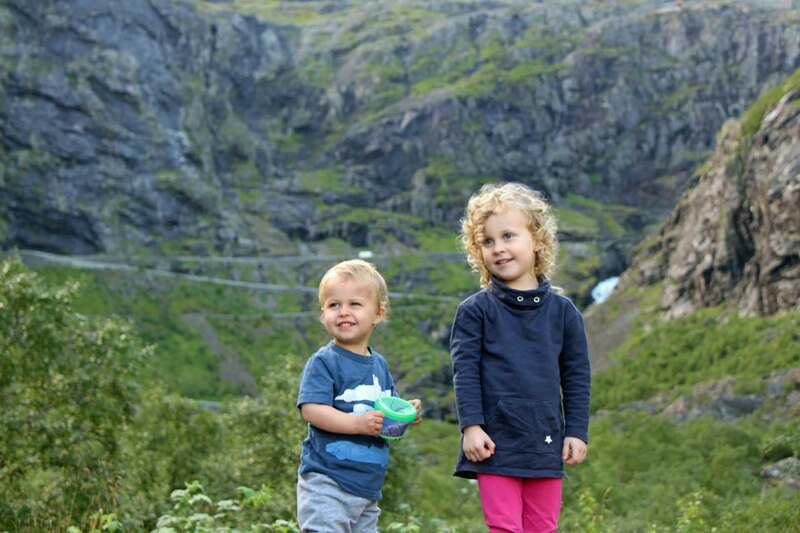 A family trip is a perfect time to try their 30 day free trial. Enjoy it while on your trip and if you don’t love it, simply cancel it when you get home. Click here for more information on their free 30 day trial or read our full review. Rather than getting up at night to give our kids water, we use hard spout spill-proof water cups. Both our kids have these water cups at home in their bed/crib. They can have them right beside them in bed and they don’t spill! We’ve been using them for years and they come on every trip. 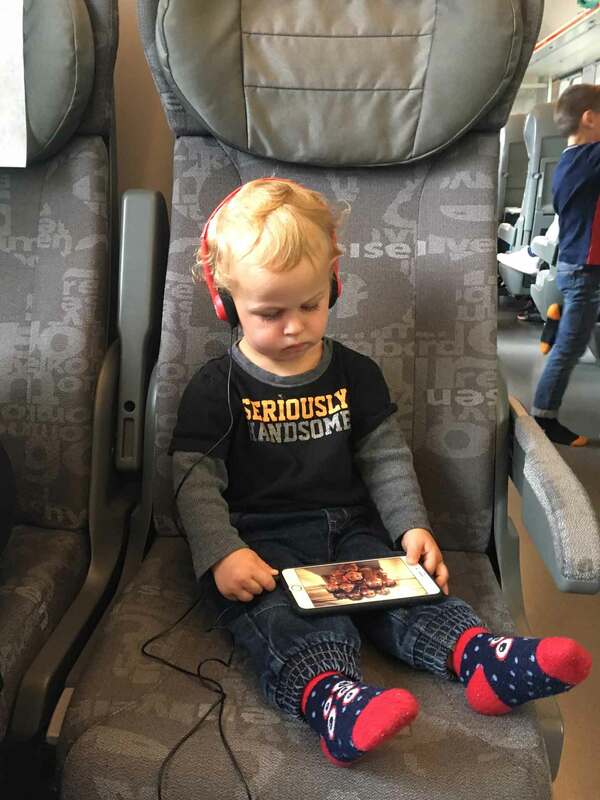 If you are looking for some suggestions, our Best Travel Toys & Airplane Activities for Babies & Toddlers has several of the apps we have used from when our daughter was 14 months old until now. 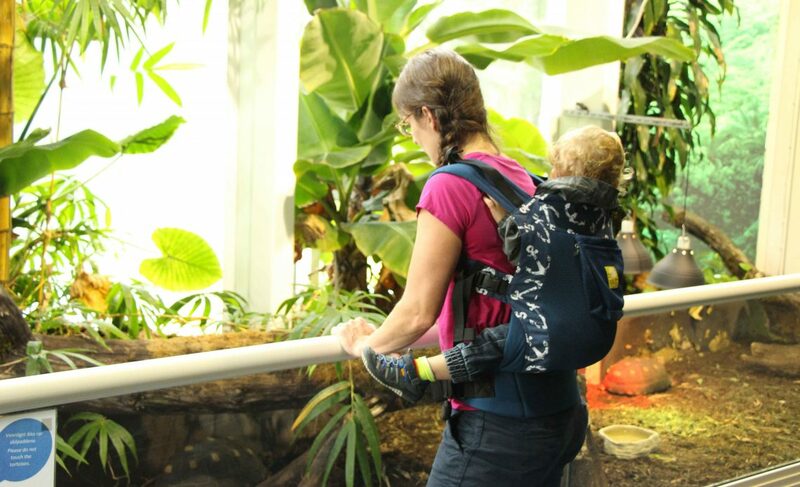 Depending on the type of trip, having your toddler’s favorite way of being carried, whether it’s a carrier or a stroller, is a must. The last time we brought a stroller with us was when our little guy was 9 months old. 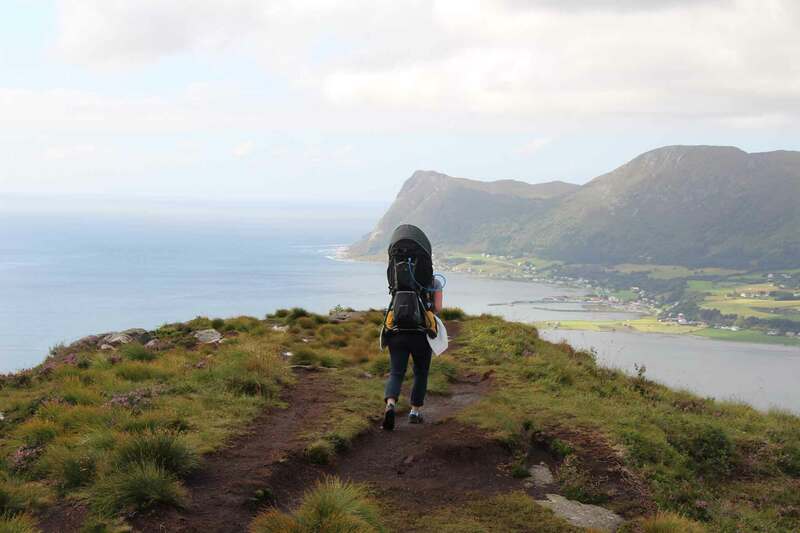 We started doing more active trips after this so we brought our Deuter Kid Comfort 3 backpack carrier instead. 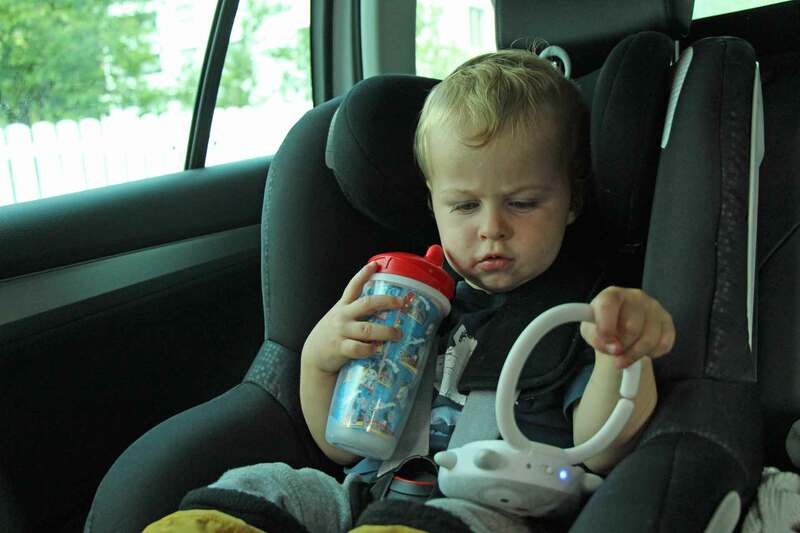 We have one for both our kids and they are content in it for a few hours, which allows us to be a little more active on our trips. 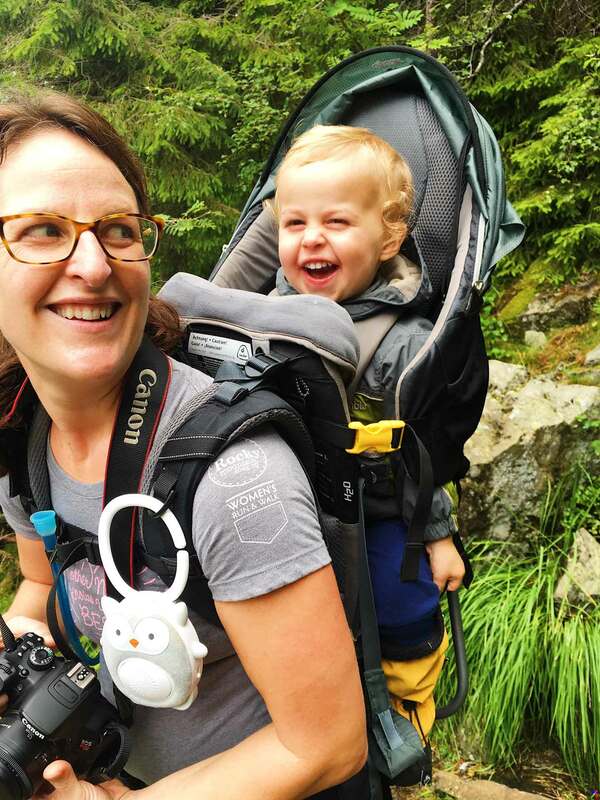 Click here for latest prices or read about our experience using the Deuter Kid Comfort 3 for travel with a toddler. We still bring a structured carrier for the airport, for days when we are touring the city and/or for attractions where we can’t bring our backpack carrier. 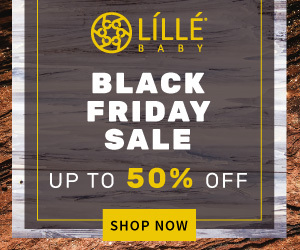 We are loving our LILLEbaby 3-in-1 CarryOn Toddler Carrier as it allows us to comfortably carry either of our kids depending on their energy levels. It has a wider and taller torso than most carriers and has a weight range of 20-60lbs, so it works really well for even our 4 year old. The back lumbar support is a huge benefit too. Our snack cup goes everywhere with us. Seriously. This is the most used baby item in our entire house. From the car ride to the airplane to our daily outings, we never leave it behind. It’s great for snacks and we all know that snacks can be the best distraction, plus he can hold it himself (from a young age) with minimal mess. I’ve tried regular containers and inevitably I end up on the floor picking up all the Cheerios. Click here for latest pricing and more information. Finally, a thermometer and Infants Tylenol are the last two items that we bring with us on every trip. I don’t want to be stressed trying to find them in a new country and making sure I understand the dosage in a different language, so we bring them with us in our carry-on. You just never know when you’ll need them. 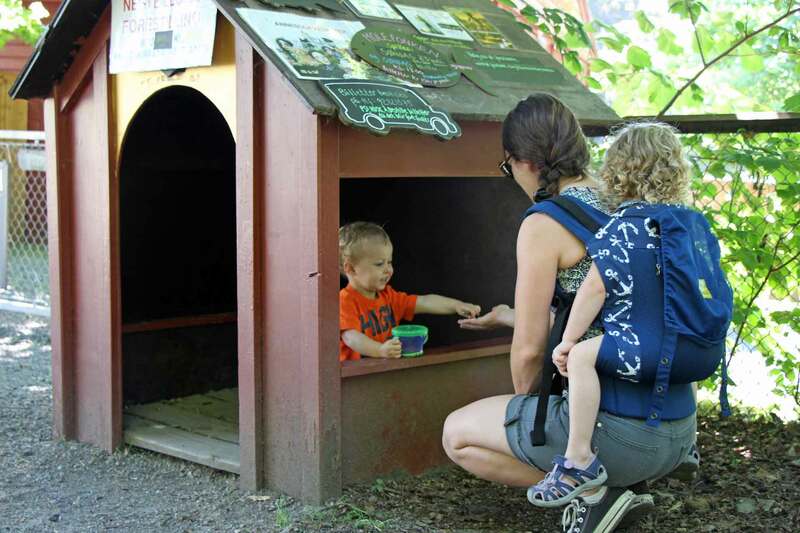 If you are about to embark on the potty training journey with your toddler make sure to check out this post on traveling with a newly potty trained toddler and this post for a travel potty.